This is word processing made simple. 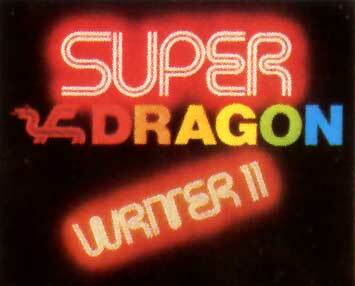 Super Dragon Writer provides all the functions that enable you to alter, manipluate and perfect your text in every way - from insertion and deletion to moving complete paragraphs. You can add special features such as centering your text, adding headers or footers, or justifying. Then when you have finished with your text you can use the special format window to check that your instructions have been properly implemented. When you are satisfied, a simple print operates the printer.